Another European organization jumps into the rising Rocket League scene. 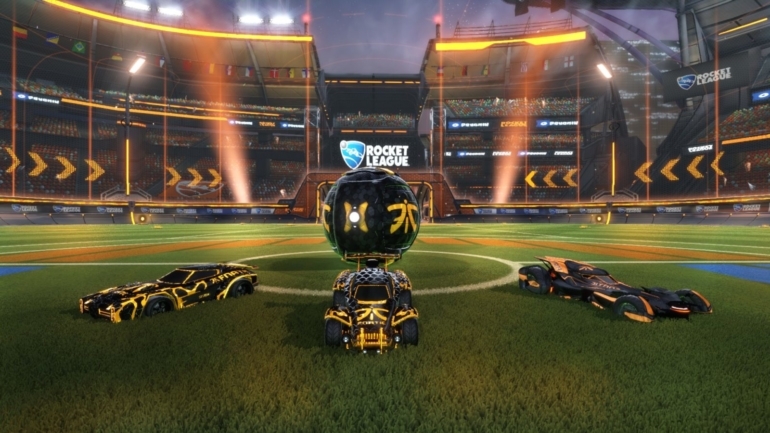 Fnatic has officially joined Rocket League after acquiring the Leftovers roster. Nicolai “Maestro” Bang, Alexander “Sikii” Karelin, and Nicolai “Snaski” Andersen will be moving over to Fnatic, the organization announced this morning. The team currently sit unbeaten in the second division of the Rocket League Championship Series, only dropping five games overall in the competition. In order to celebrate the announcement, the organization launched a Fnatic skin mod for the base game for fans to download and play. The mod includes skins for cars and the ball, giving Fnatic fans something to use while playing online. Fnatic are the next big organization to jump into Rocket League following Paris Saint-Germain, who acquired the team Frontline in September. Fnatic’s new lineup will take on British team Endpoint today at 5pm CT, as the lineup gets set to wear the famous black and orange colors for the first time.